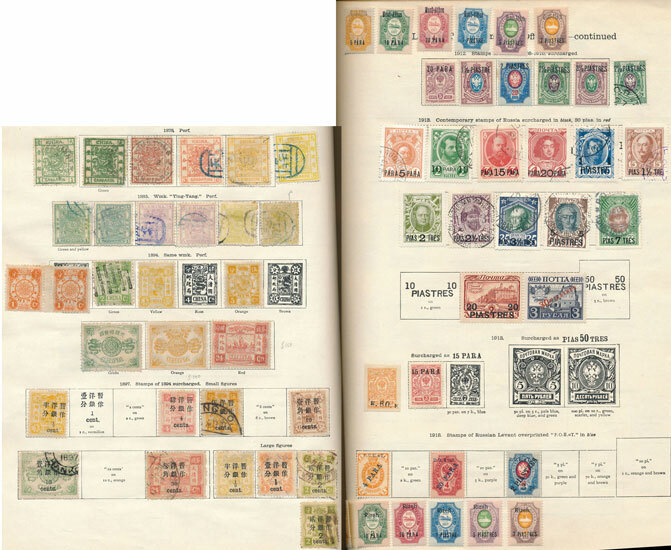 The auction got off to a bullish start with a pair of well-filled New Ideal Foreign albums being offered in 2 lots with estimates of £2000 each. After heavy bidding the final realisation for the 2 albums was over £11,600. British Commonwealth was well supported, a Canadian Provinces classics collection with an estimate of £1,300 sold for £3,190, similarly a Canada Qn Victoria collection, estimated at £1,600 was bid up to £2,800. 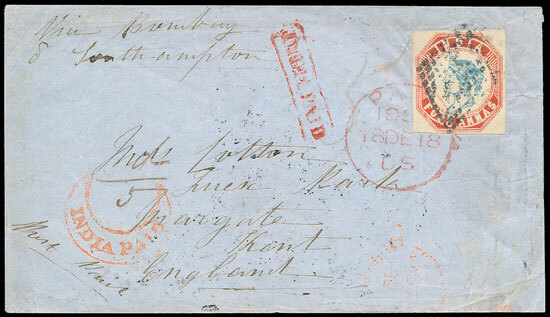 A very attractive India 1857 cover to England sold £1,180. 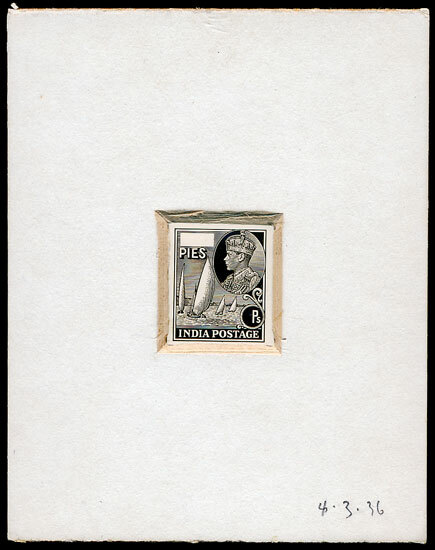 Also from India, a small range of King Edward VII & King George VI die proofs sold for £1,300. 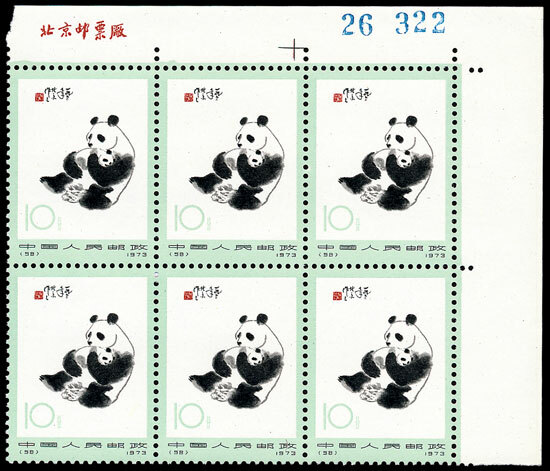 China continued to be popular, a 1973 Panda set in corner blocks of 6 sold for £480. 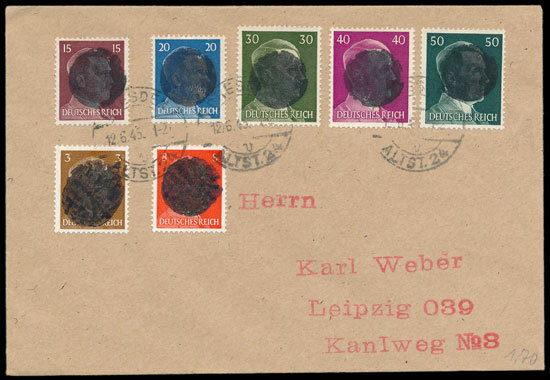 German middle period postal history is always popular and a collection focusing on Third Reich & Allied Occup with many local issues sold for £1,830 (estimate £500). Interest in Italy & Colonies has waned a little recently, a superb collection of Italian Colonies in about 20 lots with many better values expertised being largely unsold. Canny buyers picked up some lots at bargain prices. Undoubtedly interest in this well-collected country will return. Another top quality British section was on offer and buyers responded with virtually every lot being sold and many well above estimate. The Qn Victoria section was particularly popular, with a Line Engraved collection including 13 penny blacks selling for £3,190. Individual examples sold for up to £230. A pair of 1841 1d Reds with very rare red MC cancels sold for a stunning £3,900. 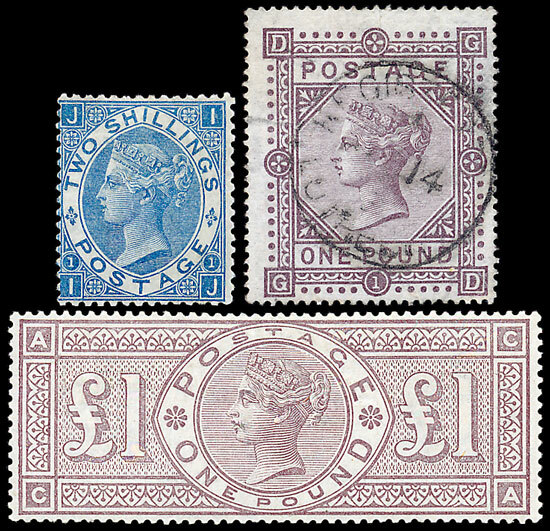 Similarly with Surface Printed, a 1867-80 2/- deep blue sold for £740. 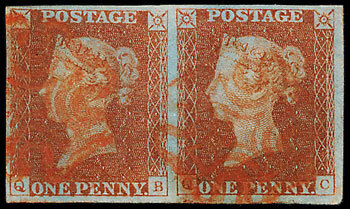 1867-73 £1 watermark Cross sold for £825 and 1884 £1 watermark Crowns sold for £4,950. Early booklets are very attractive & collectable, a King George VI extensive & specialised collection demonstrated the growing interest in this area by achieving £7,375 (estimate £2,600). 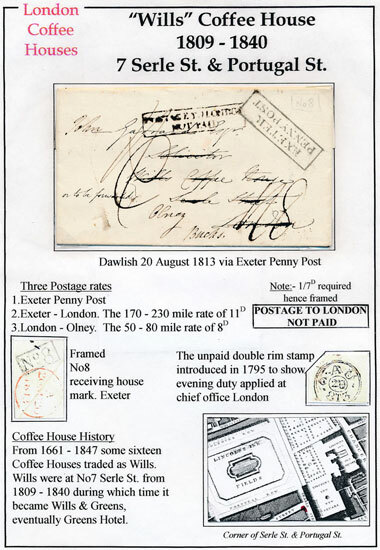 Finally, a fascinating, if untidy box of Postal History, including Coffee House Mail, 1840 Mulready covers, censor mail, etc, sold for £1,240. In 1820 Keats went on to say ‘Think not of the songs of spring’, no doubt many stamp collectors looking forward to cosy evenings sorting their collections will feel the same.